Bamako (Mali): At least 10 people were killed by "terrorists" in northeastern Mali, including members of an armed group and civilians, a government official said on Wednesday. 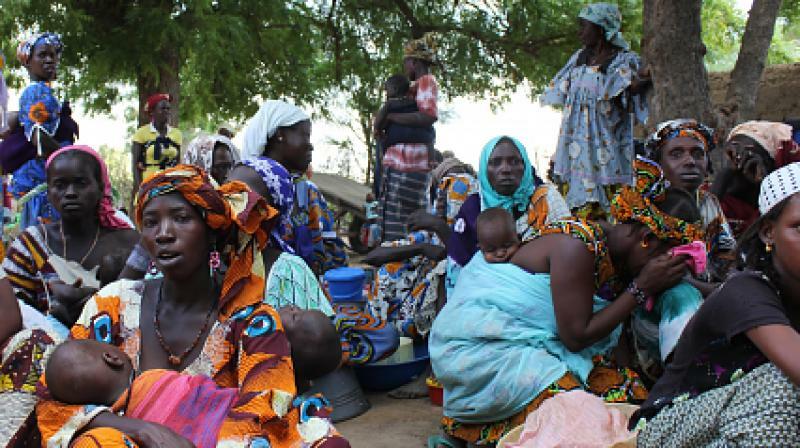 The attack took place around 45 kilometres (27 miles) from Menaka in an area which has been badly hit by jihadist violence that claimed several hundred lives in 2018, most of them civilians of Touareg or Fulani ethnicity. "At least 10 (people), fighters for the Movement for the Salvation of Azawad (MSA) and civilians were killed on Tuesday... by armed men," the government official told AFP adding that "terrorists" were the suspected culprits. In a statement the MSA, part of a Touareg rebellion movement in the north, condemned the attacks. "At the end of the clashes, the assailants summarily executed around 20 people, including the elderly," it said. The attackers "arrived on motorbikes... attacking an (MSA security) post," added a local elected representative, giving a death toll of "at least 10". In August, a panel of experts said in a report to the UN Security Council that inter-communal conflicts in the region were exacerbating existing tensions resulting from clashes between jihadists groups and international and Malian forces. France helped Malian forces stave off a jihadist insurgency that took control of large parts of the troubled north in 2012, but large swathes of the country remain out of the government's control, despite a 2015 peace accord designed to isolate Islamist extremists. Since then, attacks have extended to central and southern regions of Mali and over the borders into neighbouring Burkina Faso and Niger.